To understand yourself on a deeper level, an ongoing process of personal development must occur. There is no other way to achieve your maximum potential. Without personal development, there is no growth. There is no happiness. This process is the foundation of health for your physical, emotional, and spiritual lives. It is essential to remember that “personal development” and “self-improvement” are two different concepts, even though they’re used interchangeably. The category of self-improvement is usually the pursuit of a specific trait or outcome which allows you to pursue something that the world has made you believe that you need. Personal development encourages growth by finding ways to help you live a happy, healthy, and fulfilling life. Now here’s the best part: the smallest choice begins your journey toward personal development. Choose to do something for yourself that is kind. Extending that loving-kindness to a friend, a neighbor, or someone in your family changes them, and it changes you. You will feel a shift in your energy when you do. That shift is evidence of the changes and benefits that personal development provides. The correct question to ask isn’t about what you want to change in your life. It is about why you want to make a change in the first place. Instead of getting caught up in the “what ifs” of life, look for specific places where personal development can change you. Educational opportunities, spiritual enrichment, or a membership to the local gym are all ways you can begin to focus on your entire being. Three keys help you begin this journey: passion, motivation, and purpose. If you are not passionate about the areas you’ve chosen, then establishing new habits will be difficult. Without a new pattern of behavior, it is difficult to find daily motivation. When there is no motivation, then there is no purpose. As you get started, outline a clear picture of who and where you wish to be at the end of your personal journey process. Set a vision and specific goals which you can accomplish. Once you’ve done this, you’ll be able to follow these additional steps to enhance the personal development process in your life. 1. Plan your personal development steps. Documenting your personal development plan will make it become something that is real. If you keep your plans and goals inside your head, they become easier to forget. Writing them down creates accountability. As you create a plan, you’ll notice another benefit appears when you write your ideas down. Goals or plans which seemed unachievable or unrealistic become more noticeable with proper planning. It is easier to set realistic development stages, time limits, and achievement standards with a written plan. There will still be times when your life changes. You may need to abandon the plans you’ve written down at some point. Even if you’re forced to alter things, a written record of your ambitions and desires will push you forward toward a revised personal development goal. 2. Keep detailed records of successes and failures. The only way to see if your personal development plans are successful is to track your results. It is easy to keep following results when you’re successful. Failures become comfortable to ignore if they remain undocumented. We must document our failures. This process is how we can learn from the mistakes we have made. Reviewing incorrect decisions and the actions taken to rectify the situation gives us powerful personal analytics information which helps to reduce the risks of a repeat of that mistake. Detailed records will ensure that you’re keeping track of your emotional and spiritual reactions to each development decision as well. It is a chance to show your future self what you’re thinking right now. When you can see what worked well and what did not, it becomes easier to point yourself in the direction of new personal development opportunities which will be beneficial. 3. Find out what works best for you. The range of personal development activities which are available to you today is enormous. Here are a few of the options which could be implemented as soon as today. Reading a book with new ideas. Discussing new thoughts with others. Formal training sessions which develop a specific outcome. Online training and development opportunities. An easy way to determine which method may work best for you is to conduct a personal SWOT analysis. To perform this analysis, you must divide a piece of paper into four different sections. You’ll need a quadrant for strengths, one for weaknesses, as well as opportunities and threats. Then begin to fill in each section by answering questions like these about yourself. Be honest with each answer or the SWOT analysis will not be as effective as it could be. What sets you apart from the people you consider to be peers? What would your direct supervisor or boss say your strengths are? What are the ethics or values you hold that others do not? What personal achievements mean the most to you? Where could your training or education be improved? What would others say are your weaknesses? What negative personality traits or work habits do you feel that you have? Are there areas in life you avoid because of a lack of confidence? What are they? What new ideas or trends currently affect your career, industry, or personal life? Where are the fastest areas of growth in your life right now? Could new technologies help you to advance in your personal development goals? Do you have connections which could help you grow? Are there any obstacles that you believe keep you from achieving your full potential? Who is your competition and how do they have an advantage over you? Will new requirements, certifications, or technologies slow your overall progress? Could your career, family, or network be changing in ways that could leave you behind? Answering questions like these are important. Including feedback you receive from others as you progress in your personal development is also essential. Even if the information feels like it is negative, it is still information that helps you become a better person. Personal development also differs from self-improvement because it is not a “one-and-done” scenario. It is a lifelong process which never stops. Although it can be difficult to remember this, you don’t need to accomplish every single goal you have for your life right now. Focus instead on what matters the most right now, at this moment. Think about the first steps you must take to reach your overall vision. Then focus your energy on what is required of you to accomplish those steps. This journey isn’t a sprint. It is a marathon. Once you’ve achieved the first goals, then move on to the next targets. If you keep moving to new ideas, processes, or goals without making some progress, you’ll find the personal development process to be less than fulfilling. 5. Look for even more opportunities. Even in the arena of personal development, it is easy to slip into a comfort zone. Your goals and processes become routine and predictable over time. Don’t be afraid to spice things up. Look for new opportunities. Think about ways you could grow that you may have never thought about before. Far too often, people turn down great ideas because they’ve never thought about trying a different approach or taking a risk on something new. Even if a unique opportunity doesn’t fit in with your current priorities, if something sounds too good to ignore, then don’t ignore it. If an idea sounds exciting, then follow it. There may be times when pursuing a new opportunity forces you to change your future goals or your overall vision. You’re still on a journey toward becoming a better you. Unexpected successes are always a pleasant surprise to experience. 6. Allow yourself a chance to evolve. Even if you have plotted out an accurate outline of your steps, goals, and vision, you will find that life changes your priorities in unexpected ways. Think about the person you were 10 years ago. At that time, did you envision yourself where you are today? Do you still feel the same way you did back then about politics, faith, work, or music? Do you eat at the same restaurants? Wear the same clothing? Drive the same vehicle? As people get older, their responsibilities begin to change and grow. That creates a shift in personal priorities. To continue with your personal development journey, you must be able to recognize this process and accept it. Continual revisions will ensure that you stay focused on whatever is most important to you at any given time. When your personal development process remains relevant, it will always be a top priority in your life. No matter how much you may evolve. The benefits of personal development are specific to each person. What is received is based on the individual effort, planning, and execution of the plans created. From a general standpoint, however, there are six personal development benefits which occur for most people. Enhanced Self-Awareness: You gain an opportunity to get to know the “real” you. It is an opportunity to discover what your dreams happen to be instead of chasing the dreams that other people have for you. 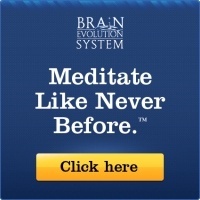 This benefit lets you begin to find out what it is that you want to get out of life. A Sense of Direction: You can see decisions with greater clarity thanks to your efforts at personal development. It is easier to stay focused, accomplish tasks, and set realistic goals which continue your forward progress. Improved Effectiveness: Distractions are everywhere today. Even right now, you likely have an internet browser open with several tabs. Your phone is probably active, alerting you to new emails and social media notifications. Through the personal development process, it becomes easier to prioritize your life. Instead of dividing your attention amongst multiple tasks, you can stay focused on that one thing you need to do. Increased Motivation: When you experience success, it makes you want more of it. 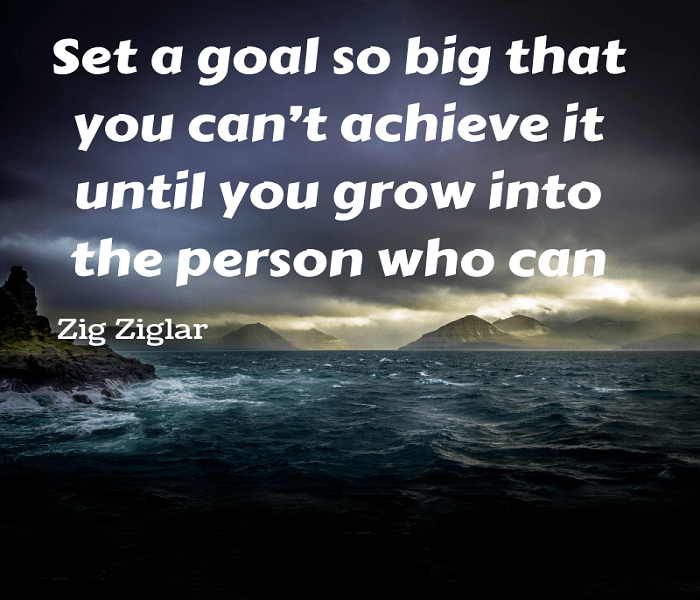 Accomplishing goals makes you want to pursue more. Each step forward gives you more motivation to become the person you want to be. Greater Resilience: Life will never be perfect. It gets downright messy sometimes. When stress strikes and tough times happen, then your personal development efforts will help you get through those difficulties. With improved resilience comes greater confidence and flexibility as well. You may not be able to control what happens in life, but you do have the ability to control how you react to changing circumstances. Fulfilling Relationships: Healthy relationships build you up. Unhealthy relationships tear you down. As you go through the process of personal development, you’ll see which people make you better and which do not. In some situations, you may even find yourself cutting some people out of your life because they contribute such a negative impact. 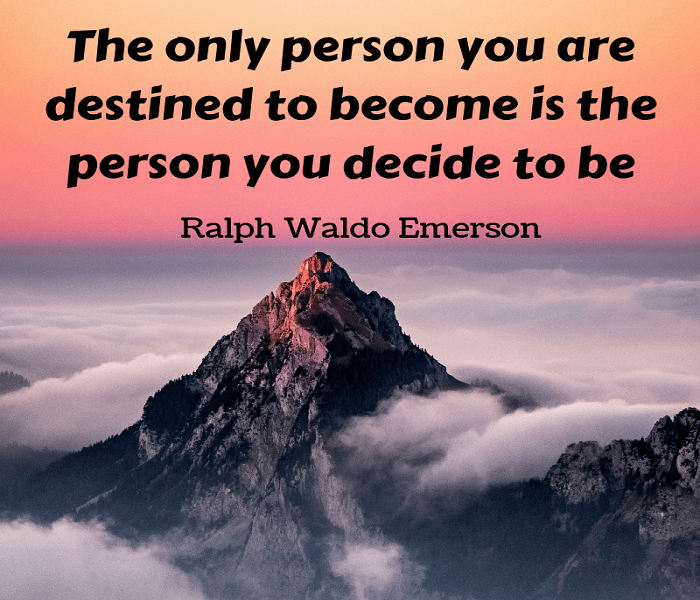 No matter what benefits you eventually experience because of your personal development journey, it is important to remember this one fact: you are one of your own most significant resources. If you put in the effort to develop yourself, the rewards you experience will have an incredible impact on your life. It can be hard to stay focused on this journey because the benefits and results are sometimes difficult to measure or quantify. Those who achieve great things in life understand that their primary key to success is their ability to self-manage in unpredictable circumstances. The opportunities available to you are limitless. Personal development coaching begins with you. Unless you decide that change is necessary, it will not happen. No one in this world can provide help unless you want it. It also begins with the processes you choose to use during this journey. There are numerous personal development courses online that you can find. Blogs and articles about personal transformation and self-improvement are everywhere. If you want to set personal growth goals, all it takes is one simple Internet search. 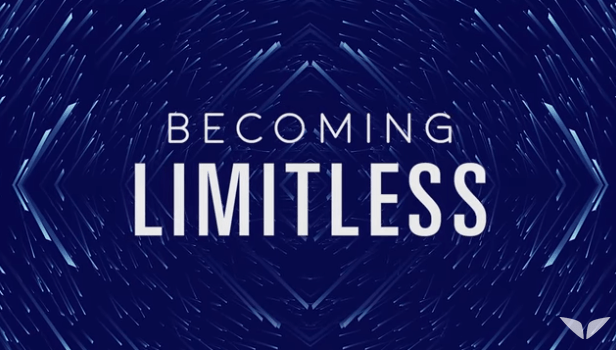 To become limitless, you must be willing to set aside your preconceived notions about who you are, what you can do, and what you’ll one day become. Once you set boundaries for your growth, you will never go beyond that imaginary line. That is why the Becoming Limitless personal development program by Mindvalley is such an excellent opportunity. It takes you on a step-by-step journey to help you see life differently. Set aside all the marketing terms that are used to promote the program and you’ll see an active pathway which leads you toward where you want to be in life. You go beyond abundance. It even takes you beyond evolution. With this program, you gain an opportunity to feel like you’ve tapped into what each day has in store for you. Are you ready to begin your personal development journey? Then I invite you to explore Becoming Limitless.